Since our incorporation in the year 1995, White Westinghouse USA- Jet India has forehead its presence in the consumer durable appliances market with one of the most popular brand in the world – White Westinghouse, USA. Starting with appliances like Dehumidifiers & Wine Coolers, now getting into Core Consumer Durables like Refrigerator etc. Jet India intents to make a mark in the consumer durable industry with its flagship brand White Westinghouse, USA. Welcome to the World of White Westinghouse, USA. With more than 100 years of expertise and existence across the world, White Westinghouse stands for Quality, Design and Performance. White Westinghouse Customers demand a lot from their products. They want Products that deliver the ultimate in Performance. They want fully featured Products with a host of conveniences. White Westinghouse products are designed to look beautiful and designed to give maximum Performance. We are led by our mentor, Mr. Ram Choudhary Vice President New Business Development), and are under his constant supervision to excel further. Backed by a team of highly qualified professionals and equipped with modern infrastructure facilities, we strive to offer the best range of products in this domain. We have been successful in carving a niche for ourselves, and we constantly try to reach out to a wider clientele across the nation and beyond. We export our products in the Middle East, South/West Africa and the Indian Subcontinent. 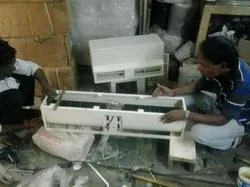 Since our establishment, we ensure that the audited range of products is dispatched to the clients and thus have been credited with the quality. To ensure this, we source the products from the certified vendors of the market. They utilized high grade raw material and advanced machinery to design these products in compliance with the highest quality standards. In addition to this, to make sure that the product line is defect free, the vendors dealing with us scrutinize the entire array on several parameters prior the transit. This aid us in maintaining our unique stature in cut-throat competition of market. Our organization is counted amongst the most distinguished manufacturers and exporters of a range of Air Curtains, Washers and Dryers. Apart from this, we are counted as one of the well-known importers and exporters of Dehumidifiers. 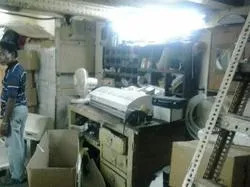 These products are manufactured by making use of superior-grade raw material, obtained from reliable vendors and are usable in food, pharmacy, computer and electronics, hospitals, hotels, optical, recording studios and art galleries. In addition to this, the range of dehumidifiers work on R 134A refrigerant, is applauded for its featured attributes like durability, superior performance, silent & continuous dehumidification and low power consumption. Beside this, we are also offering Installation and Maintenance Services for our customers at industry leading rates. Our enterprise is supported by a team of proficient employees, which aid us in handling all the business operations smoothly. 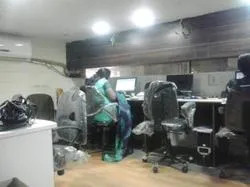 The employees in our team possess healthy experience in this domain, which aid us in delivering an unparalleled array of products to patrons, within the committed time frame. In addition to this, they work in close proximity and co-ordination with the vendors to cater to every demands of clients appropriately. Furthermore, we conduct different training sessions for our team personnel to make them abreast with the latest advancements in technology field. 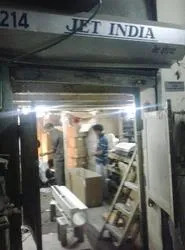 With thorough industrial knowledge, we are engaged in manufacturing and exporting of a wide range of Refrigerators, Air Conditioners, Washers and Dryers. Also, we are a distinguished importer and exporter of Dehumidifiers. Owing to their attributes, these products finds application in varied fields in market. In addition to this, our research professional make sure to use the extensive market details and requirements, thus increasing the demand of products in the market. We are one of the prominent manufacturers and exporters of Refrigerators, Air Conditioners, Washers and Dryers. Also, we are an eminent importer and exporter of Dehumidifiers. Obligated to the striven efforts of our team personnel, we have been able to win the precious accolades from the customers, worldwide. In addition to this, quality based approach and customer-centric norms are adopted by us, which aid us in holding an apex position in the stiff competition of market.